It’s hard to get feedback (scuse the pun) from fish regarding what you’re feeding them. It’s not like they can spit it out or send it back to the kitchen. But customers who use Tetra Pond Sticks report seeing greater activity and better health in their pond fish, which seems to us to be the equivalent of a good food review. 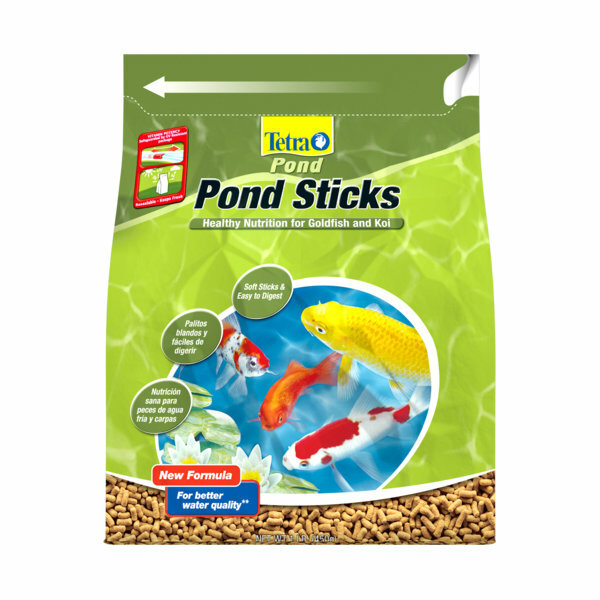 Tetra Pond Sticks provide all-round nutrition and energy for your pond fish. Tetra recommends you only feed them if the water temperature is 4 degrees Celsius or above.